Today it is possible to have locks around your home that don't require a large set of physical keys. Here we take a look at 3 popular electronic key designs and why they make great alternatives to traditional home locks.You can have your locks changed for electrical version at increasingly affordable prices. Now could be the perfect time to consider updating your locks for more practical and modern security solutions. When you have a typical lock and key, there is a piece of equipment that has to come with you everywhere you go. Whether it's a cad or a traditional metal key, whatever form it takes, it can be seen as a liability. A key can be lost, stolen, bent or broken. It can also be copied and the copy can then be used to grant access to your house without your permission. With a keypad those possibilities are eliminated. All you need to do is remember a simple code. 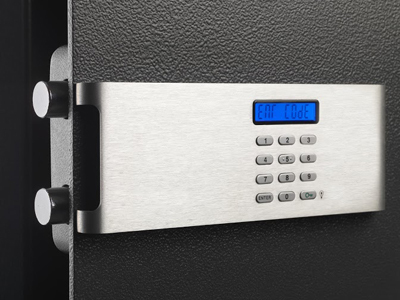 Keypads are more sophisticated than normal locks and will require the help of an expert local locksmith that's possesses knowledge of how to install such devices. Not all locksmiths will have this expertise but most reputable companies certainly will. For many home owners the added security and convenience of a keypad lock is what makes it a logical upgrade from a typical key or card entry lock. These types of lock are usually associated with cars but many homeowners will find them incredibly helpful applied to doors around the house. Transponder keys allow the users to activate the locks from a distance. This can be particularly beneficial if you have a large property and you want to be able to activate multiple locks on doors and outhouse without having to approach each and every one of them physically. Today you can apply transponder locks to sheds, cabins, gates, garages and all the doors within your property. Both of the above mentioned locks can be applied to door, outhouses, cabinets, safes and containers. Most people will often find it best to have professional help with such devices as executing a perfect lock installation can be tricky enough when it's a simple lock. It can be incredibly challenging to install a sophisticated electronic lock if you have very little experience do so. Will a normal lock continue to serve you needs? Or are you ready for an upgrade?